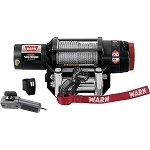 Warn has been one of the absolute best in the ATV and UTV world, with some of the highest quality products especially their winches. Warn has come out with the RT and XT series and now new for 2013 is the Warn Vantage series. 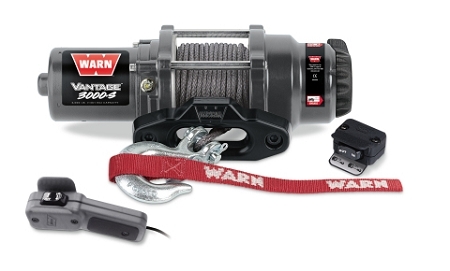 These winches offer the very best in performance and reliability. The Vantage series comes with a 5-year mechanical warranty and also a 1-year electrical warranty on all their Vantage winches. The Vantage 3000-S includes a handlebar-mounted mini rocker controland corded remote, 50' of 3/16" of Synthetic rope with a Black Powder-Coated Hawse Fairlead, 3000 Pounds of pulling capacity and best in class performance. The Vantage 3000-S is the perfect midrange winch to handle all your situations.